Meet Patches. Patches is 6 years old and weighs almost 60 pounds. He was turned over to our shelter when his last family could not care for him any longer. 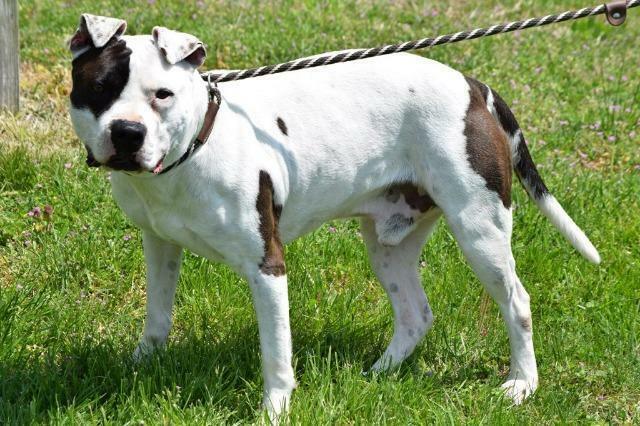 Patches has not had the easiest life, having spent most of it outside in a kennel. Despite this, he is a nice boy! We have heard from neighbors who know Patches and they tell us he was great with their 11 year old child. He was also fine with their dogs, although we would suggest a female dog for Patches. After a lifetime of living alone in a kennel, this boy surely deserves a home and a chance to find out what it is to be a member of a family.